Beautifully updated and meticulously maintained 2-story home in the highly sought after Westridge Knolls neighborhood. Situated on a corner lot on a quiet street, this home is move-in ready. 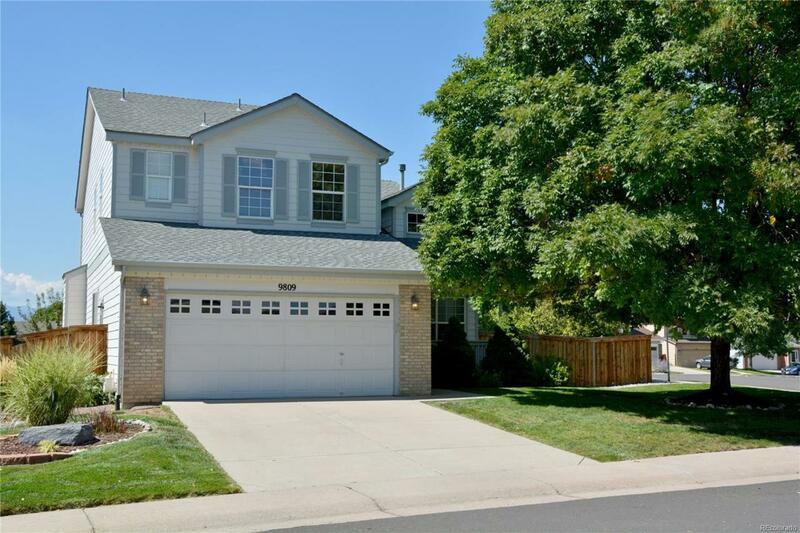 With vaulted ceilings, mountain views, newly renovated, gorgeous master bath, 2 walk-in closets in the master suite including custom built-in shelving, new light fixtures and ceiling fans throughout. Awesome loft space upstairs that could be converted into 4th Bedroom. New water heater, roof replaced in 2016, granite countertops and stainless steel appliances, a beautifully landscaped backyard including a patio shaded by a retractable awning. This popular neighborhood offers it all! Access to Highlands Ranch rec centers, pools, fitness facilities and more. Just a short walk to nearby parks, trails, dog park, and elementary, middle and high schools! Numerous restaurants and shops nearby and easy access to C470.